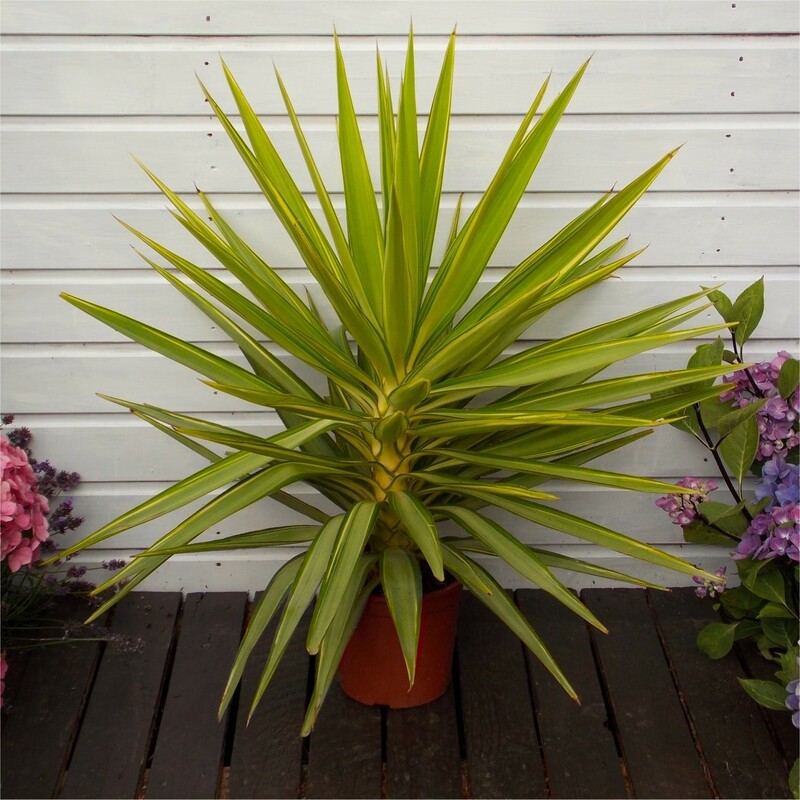 Standing majestically in their pots, these hardy variegated garden yucca trees will make a beautifully architectural statement on any patio, deck or terrace - or you can also grow indoors as a houseplant. They'll look good all year with their attractive spiky green and cream sword shaped foliage and bold structural outline. They're tough, robust and drought tolerant for the summer months, yet are strong enough to survive the frosts of winter, making an excellent choice for a pot on the patio. 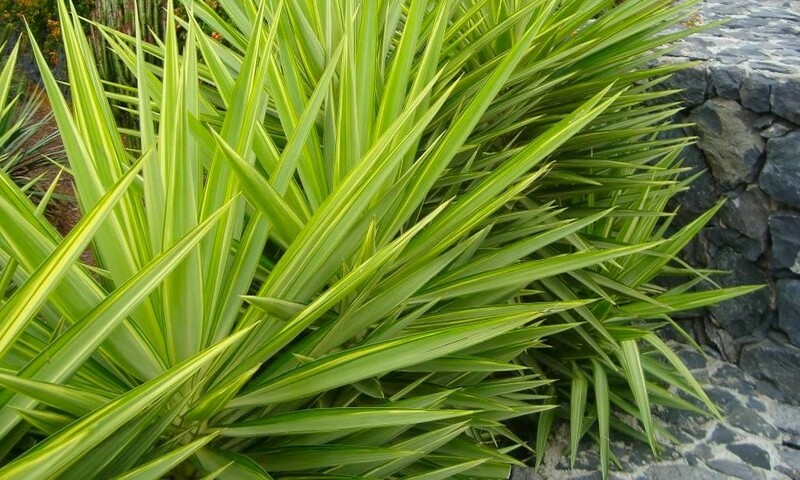 They'll do best kept on the dry side in well drained soil in full sun, avoiding excessively wet conditions in winter, so if you have a sheltered spot, that will be best for them, although they also do well in exposed coastal locations. 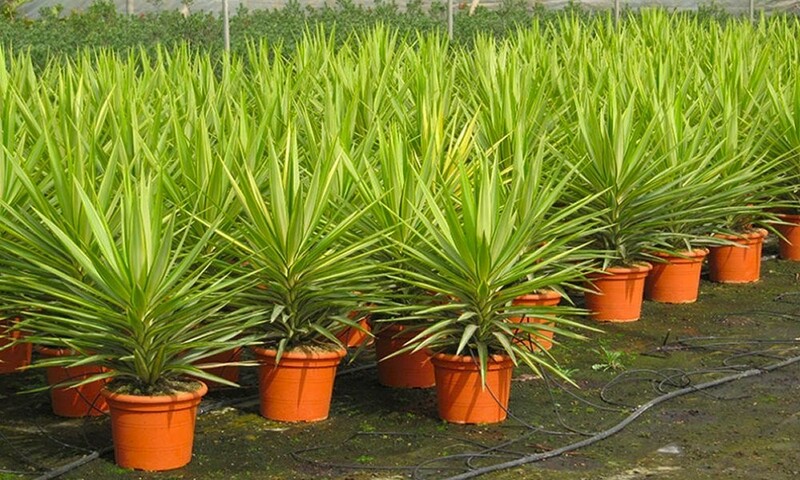 Supplied as chunky, large, strong, hardy plants in approx 5 litre containers. Very striking, this will create an instant architectural feature where ever they are planted and displayed.